The number 2 on the MPB Party list received by far the most votes of all candidates not only on the MPB list, but also more than any other politician participating in the Island Council Elections. 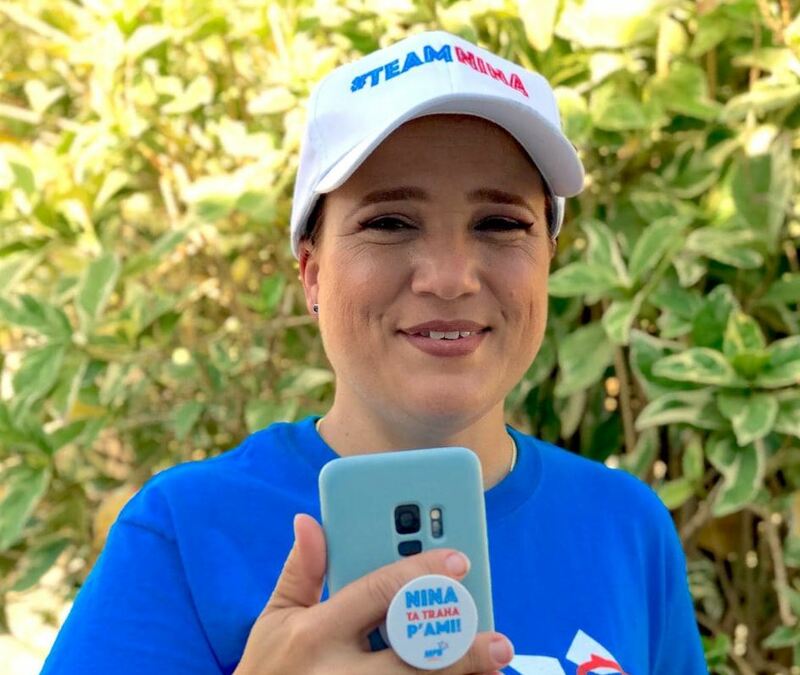 Kralendijk- Nina den Heyer, number 2 of the MPB-list, has achieved the most preferential votes of all the politicians who participated in the March 20 elections for the Island Council of Bonaire. Den Heyer managed nearly double the amount of personal votes obtained by party leader Elvis Tjin-Asjoe. Tjin-Asjoe achieved a total of 629 personal votes. Other candidates who received a relatively large number of personal votes are PDB Leaders Clark Abraham (874 votes), UPB-leader James Kroon (786 votes), Hennyson Thielman (MPB, 291 votes), Daisy Coffie (236 votes) and Benito Dirksz (PDB, 231 votes). Among the smaller parties, the most personal votes were achieved by Aljano Emerenciana (1 Union pa Pueblo, 172 votes). Surprising is the relatively small number of votes (157) that was obtained by party leader Robby Beukenboom of the FSP-party. The FSP was founded by Beukenboom and Maruga Janga, after their departure from PDB party ranks.